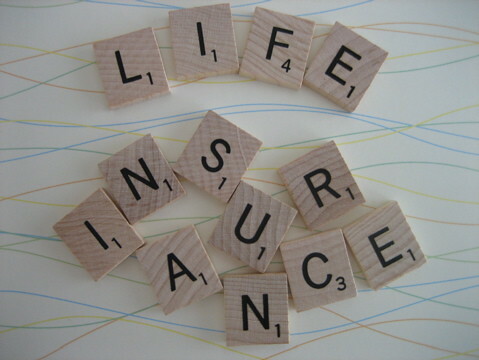 If you’ve ever gone searching around the internet for quotes on life insurance or recommendations for which type of life insurance you should buy, the answer that almost always comes back is that term life insurance is a better choice than whole life insurance. As a refresher, term life insurance carries a stated death benefit to the beneficiary of the policy over a stated number of years for a monthly premium. Whole life insurance carries the same death benefit feature but also has an added investment component. Premiums with a whole policy are typically significantly higher because the policy builds cash value over its lifetime whereas the term policy carries no such cash value. The reasons why term insurance is preferred are pretty simple too. Premiums on term life insurance are much cheaper and the investment component that comes with whole life insurance usually isn’t cost effective and, in most cases, isn’t a very good performer. Someone who holds a whole life insurance policy typically has to hold on to it for many years before they typically break even on it. And that brings us to today’s questions – if whole life is so expensive and usually doesn’t perform that well, are there cases where it actually does make sense to hang on to it? The answer is yes there are but only a few. If you qualify under one of the following criteria, whole life insurance may be a consideration for you. With premiums so much larger than term life premiums, you’ll need to hang on for a good long time before the cash value part of the whole life policy makes up for all those bigger premiums you’ve been paying. That means you’ll need to hang on to the whole life policy for 15 years or more. If you’re certain you’ll be hanging on to the policy for 20 years or so, you could come out ahead on a whole life policy. Advisers recommend that people get life insurance while they’re young because by the time they near retirement age it’s expected that they’d build up enough of a nest egg to pay for any expenses that life insurance would otherwise provide for. But what if you don’t have that nest egg? You might not have enough time left to build a significant portfolio. In this case, life insurance might be your best chance to provide a six of seven figure death benefit to your heirs. Constructed properly, life insurance policies can pass the death benefit on to their beneficiaries while avoiding the estate taxes that a normal investment portfolio might incur. Some people like to set policies with this purpose specifically in mind. Again, if constructed properly this could be a good way to get assets into the hands of your beneficiaries without Uncle Sam taking a cut. In virtually every other instance though, a term life policy usually makes more sense. Life insurance is designed to be pure protection against an unexpected death and the financial consequences that come with it. They’re not designed to be investment vehicles. When in doubt, buy yourself a good term life policy and invest the rest. “you have no investment plan” is a horrible reason to consider whole life insurance. It’s not an investment, it is insurance. The underlying “investment” component is very expensive compared to other alternatives. Get an investment plan, and skip the expensive whole life insurance that is unnecessary for 99% of the population. It’s a great post! In all honesty, whenever I start having doubts about self-publishing I come here and gain the motivation to keep moving forward. Thanks. My husband, my teenaged son and myself all carry small whole life insurance policies (we got the one for our son when he was one year of age). In the case of genetic illness and the potential of becoming “uninsurable” in later years, you can sometimes add on to a policy even when you can’t buy a new one. We paid the premiums on our whole life policies for the first 10 years, and now we don’t pay on them. The dividends are enough to pay the policy premiums. So we get our annual statements, the value of the policies continues to grow and I pay nothing for them. I think that’s a good deal. They are small policies – enough to cover any funeral expenses (at any age – they don’t expire like term policies do) and leave the beneficiary a bit of cash, but it’s nowhere near what my husband and I carry in term life. Two different policies that fill two different needs. Oh, and of course we have a well funded retirement account and college fund as well. The life insurance we carry was a good option for us and since both my whole life policy and my son’s whole life policy were purchased when we were VERY young, the premiums were/are ridiculously low. In my opinion time keeps change every time, so the Whole life Insurance keep matter. but most of people take this issue to lightly. Any ways i really like the way you expressed. Whole life policies were purchased for each of my children when they were born. We have been paying on those policies for 19 and 16 years respectively. I am still paying the premiums on these policies – and thought that by now the dividends would have that covered. Guess it’s time to call the insurance company and find out what is going on! Thanks for the article it was very helpful to me! I am so glad that I’ve found this article because I am so confuse which of these policy is the best! And now I am ready to look for this policy for it gives me peace of mind and idea. Thanks a lot!